Saida and Andrew’s intimate wedding was utter perfection—and something that really epitomized all of their hopes and dreams for the start to their new life together. The couple wanted a cozy, intimate wedding and desired to share their first few moments as husband and wife with just 15 of their nearest and dearest friends and families. 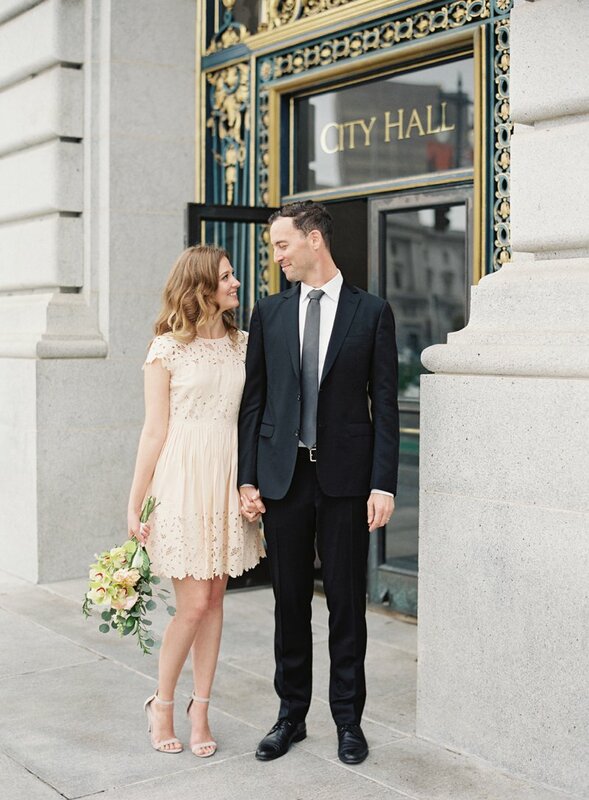 Natives to San Francisco, the majestic San Francisco City Hall was the perfect fit for their ceremony location! The SF City Hall is more like a palace, with gorgeous stairwells, ceiling details, and architecture everywhere you look. It has such regal vibes to it and is an elegant location for any elopement or intimate wedding, and it matched Saida and Andrew’s style completely! I love having the chance to photograph elopements and weddings in this incredible venue, and it actually was some of my photographs that I had posted on social media from the City Hall that connected me with the bride and groom! A somewhat serendipitous meeting, Saida found me on Instagram by searching the hashtag #sfcityhallwedding. In fact, she found most of her vendors via Instagram (the beauty of social media, right?!) When we first spoke over the phone to discuss the details of their wedding day, Saida expressed that photography was really important to her and her fiance Andrew—a sentence every professional photographer dreams of hearing! Since they were having a small wedding but had many important people in their lives that wouldn’t attend, she knew she wanted to find the perfect photographer for their special day to not only be able to relive the memories but to also to be able to share their memories with those who wouldn’t be present on their wedding day. I feel grateful that they picked me to be able to capture these memories! 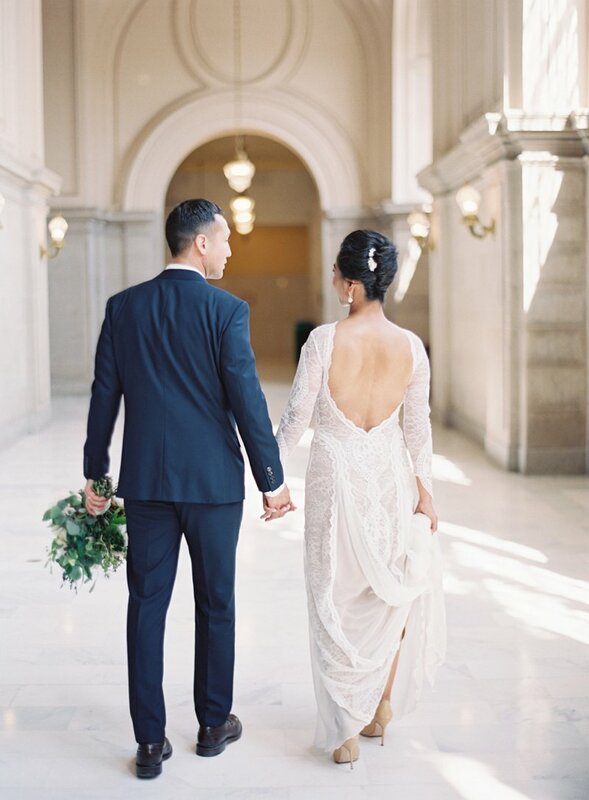 Siada wore a stunning, backless lace dress by Grace Loves Lace, and Andrew wore a classic, tailored navy suit from J. Crew. Their apparel was complimented by the gorgeous bouquet by Church Street Flowers, with the clusters of anemones tying their outfits together effortlessly. They looked so sophisticated and elegant, surrounded by the beauty of City Hall. My heart fluttered when I saw them for the first time on their wedding day! 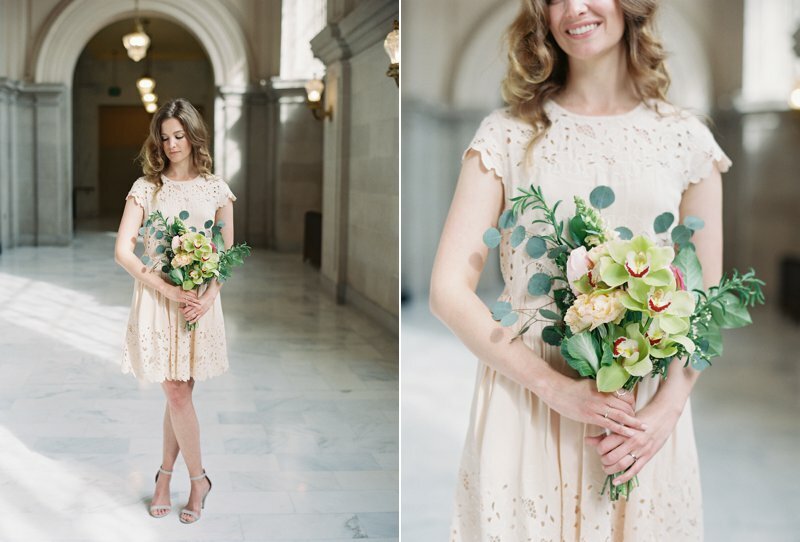 One thing that was re-confirmed to me by photographing this wedding was the idea that just because you’re having a small, City Hall wedding or elopement doesn’t mean that you cannot have gorgeous photos of your wedding day. Saida and Andrew will have these images for generations to come, but I learned the opposite lesson the hard way. My husband and I chose to have a small, City Hall wedding, and we did not hire a professional photographer. While our families took photos with their cell phones, as the years passed, cell phones were upgraded, and the images were lost. Brides, I urge you—if you’re just planning an intimate wedding, please take advantage of not having all of the other expenses of hosting a traditional wedding and splurge on a photographer you love! Focus on some of the smaller details, like your bouquet and dress, and your photographer will be able to capture incredible images for you to cherish.